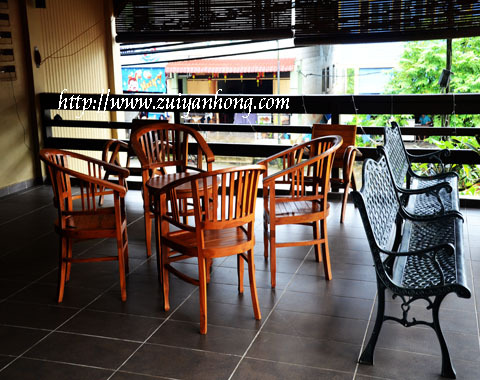 Country View Inn is located at Pasar Road in Sungai Lembing town center. 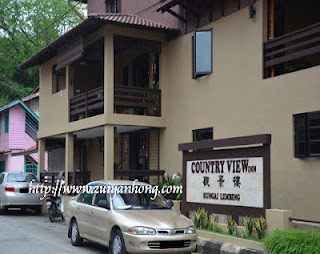 When we were on holiday in Sungai Lembing, we stayed at Country View Inn for one night. Sungai Lembing food court is opposite Country View Inn. 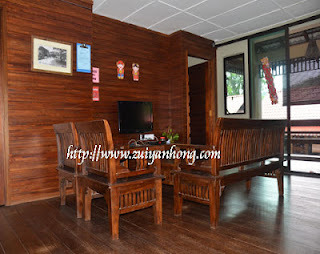 Sungai Lembing market and SJKC Lembing are a stone throw away from Country View Inn. There are a few mini markets along the main road of Sungai Lembing town. Country View Inn is a three-storey building. There are two guest rooms and several bathrooms at the ground floor. This is the photo of the only guest room at the second level of Country View Inn. It's suitable for the accommodation of traveler with children. There is no bathroom in this room. It would be ideal if it has an attached bathroom. The living room is at the second level of Country View Inn. You can relax, chat, read or watch TV programs in the living room. A refrigerator is available and drinking water is provided by Country View Inn. This shows that the operator of Country View Inn is super customer friendly. Look-out from the balcony at the second level of Country View Inn, the street view of Sungai Lembing is clearly shown in front of you. You can have barbecue and birthday party at the balcony. In case you wish to boast and drink beer with your friends, just carry on and have a nice stay at Country View Inn. 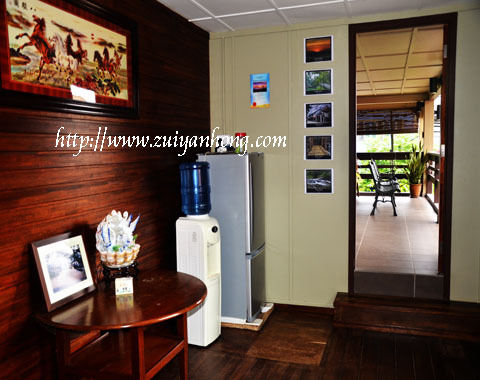 Address：40, South Main Street, Sungai Lembing, Kuantan, Pahang.